Pandah! By a nose and a half. The competition was fierce and every one of these dogs deserved to win — so our deepest thanks to the families who fought hard and campaigned for their pets. Each dog will receive a gift print of their calendar shot and a copy of the calendar. Best of all, the homeless pets of Dallas win as Artists for Animals continues to fight for their welfare. Thank you! A wonderful new venue for us this coming year — CITY PERFORMANCE HALL- and lots more seats to sell! This could be the concert event that tops all the charts for money raised for our furry friends. Help us spread the word — and mark your calendars today! Our wonderful friends at THE RICHARDS GROUP and RBMM have created a wonderful new look for AFA — and we are so very grateful for their creative genius! Over the next few months you will see more of this little fellow and hear lots more about Artists for Animals. Save the date now — tickets go on sale very soon. Announcing our KICKSTARTER campaign! 22 days left! Artists for Animals may seem like just a once-per-year event but we’re busy saving dogs and planning ALL YEAR LONG. And with the new KICKSTARTER Campaign we’re even busier! We’re reaching out to more people with larger, better venues and more concert dates — but we need your help! 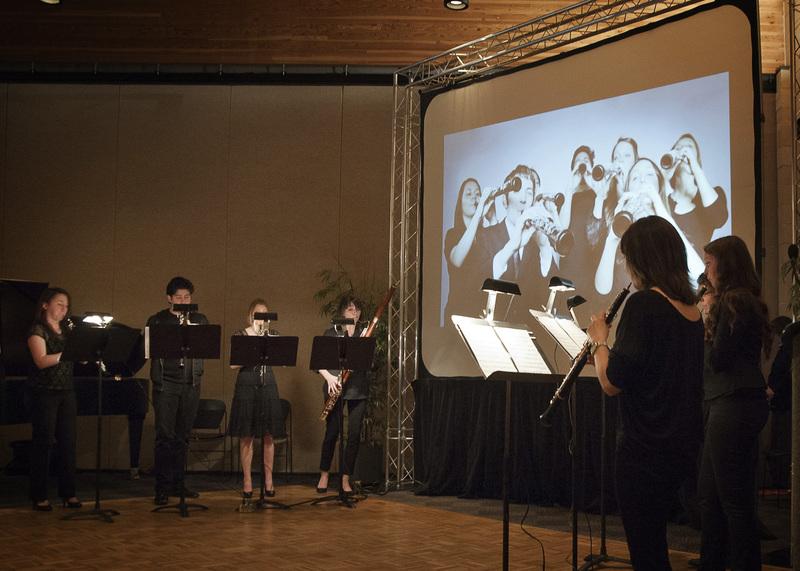 Our 2014 Artists for Animals concert was a hit! Combining ticket sales, donations and auction sales, our event raised $14,600 for Operation Kindness on March 14th. THANKS TO YOU! We’ve even been contacted by orchestras in other cities that are interested in doing their own versions of our concert. So stay tuned for more news about money raised and animals saved. Welcome! We have a new name, a new website and a new mission for the new year. 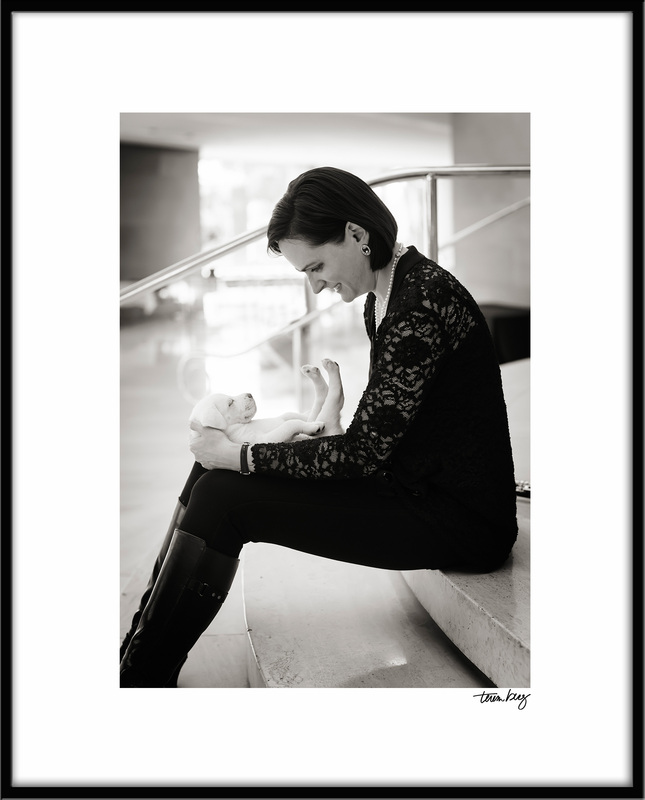 We are an organization of artists founded by Erin Hannigan, Principal Oboe of the Dallas Symphony Orchestra and Teresa Berg, Dallas photographer and animal activist, in 2011. Our previous concerts (called An Evening for Dog Lovers) were held to benefit a 501(c)3 named Paws in the City. This year’s live multi-media event is sponsored in part by DSO (Dallas Symphony Orchestra) and reaches out further in to the community, drawing student artists in for a poster contest and local artisans displaying one-of-a-kind pet beds — all available in the silent auction. All proceeds from this year’s event benefit Operation Kindness, the oldest and largest no-kill shelter in Texas. 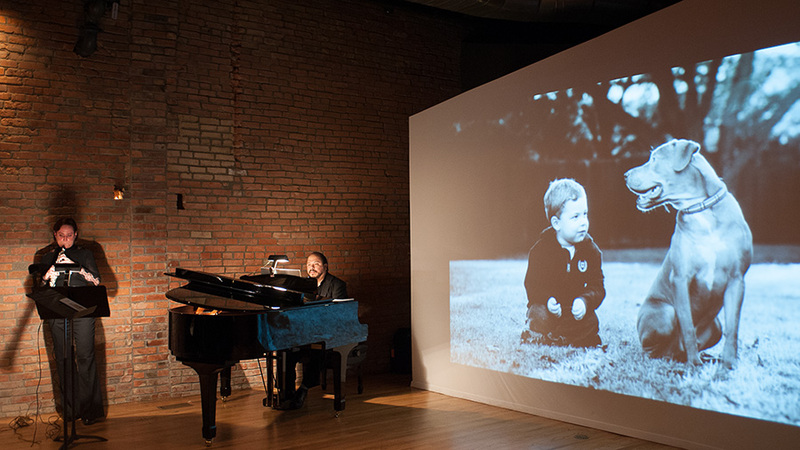 Live classical music from some of DSO’s finest musicians paired with 9 x 12′ projected photographic images leave attendees with a multi-layered appreciation for the beauty and spirit of the homeless dogs and cats that are featured. This year’s event will be held at the Addison Conference Center, in Addison Texas. Tickets will be on sale shortly!